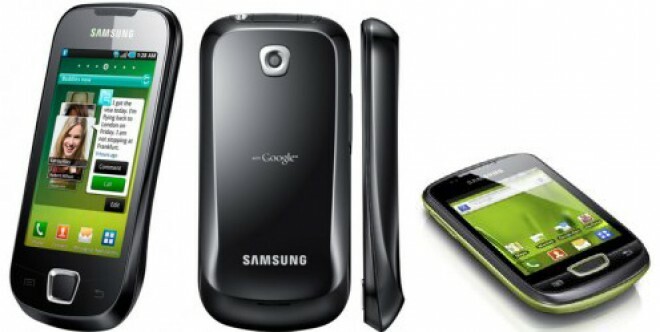 Despite its low price tag, the Galaxy Mini manages to carry all the usual Android features such as Wi-Fi and GPS. The Mini has a slow chip yet manages some pretty speedy performance - although it can't compete with the likes of the lightning-fast Galaxy S II or Motorola Atrix. The Mini is easy to use as it features Android OS, with some Samsung tweaks, plus Samsung has included a capacitive touch display . Samsung has quite a difficult task on its hands - to combine high specs with a low price, and include big features in a small device. That's what the Samsung Galaxy Mini is all about. It has been done before in some ways - remember HTC's Wildfire last year? Cutting corners is the name of the game and, like HTC, Samsung has chosen to save money on its screen (the new Wildfire S has far improved screen quality, we have noticed). The Galaxy Mini has a small (3inch) 320x240 display. It's not bad, but just don't try to compare it with the fantastic screen on offer from the likes of the iPhone 4 and Samsung Galaxy S II. Having said that, at least it is a capacitive screen - not the cheaper resistive variety, which would have been a big disappointment. Samsung has also decided to go for an up-to-date 2.2 version of the Android OS so you'll get the benefits of excellent email facilities, apps from Android Market and more. The handset's small size is a big selling point - particularly appealing to consumers who don't want a big device like the HTC Desire HD and the iPhone. Samsung has also cut corners by putting a 600MHz chip under the bonnet. It's not exactly a bad speed, but Android can pull a lot of power, so we were expecting performance to be disappointing, In actual fact, it performed many tasks speedily and well. We even enjoyed a game of Angry Birds that was smooth and fast - although the game's graphics did not show at their best on that display. Looks-wise, you can see the Mini is a Samsung - under the screen sits a large Home button, with a Menu and Back rocker button on either side. Our review unit came in ‘Chic White' and very nice it looked too. Turn over the handset and you'll find the back is the same colour, with a raised pattern, like that on the Galaxy S II. Its edges are finished in a brushed metal effect. Like the Galaxy S II, the Mini features a scooped back and a bottom that sticks out, so it looks slimmer than it really is. Mind you it's hardly chunky - its plastic body means it weighs just 105g, although it can feel a bit on the cheap side. It's actually when you come to more day-to-day jobs such as switching from one page on the apps screen to another that the low resolution becomes particularly apparent. The white text sits on a black background and looks like it is shimmering. The snapper is also disappointing thanks to both that screen and its miserly three-megapixel sensor - having said that, 12 months ago that sort of resolution would have been quite acceptable. There are also some Samsung apps on offer, although not many. However, with more than 100,000 Android apps to pick from, who cares? On board you'll also find music and video player programs from Samsung, which are quite impressive. Plus, we like the fact that there are toggle switches for GPS, ringer, orientation lock, Bluetooth and Wi-Fi. There are some nifty additions for messaging - for instance, if you open a received message, you can call its sender just by swiping right. To reply to the message, swipe left - neat. This also works in the phone book. As you can tell, the Mini has plenty to offer, if you can get over the screen size. The Samsung Galaxy Mini is a small device with a big list of features. It does a good job and offers a fun user experience. It's just a shame that the low-res screen is such a disappointment. The slow chip is really not a problem, and the handset looks stylish, but that display is really something of a deal-breaker.